Gideon v Wainwright Turned 50! Students remember the case well. 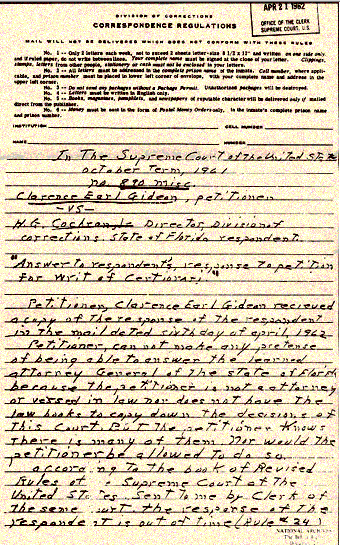 Justice Sandra Day O’Connor referenced it in the previous Supreme Court welcome video (Part 1 and Part 2) when she talked about a “prisoner writing his petition in his own hand.” Gideon v Wainwright turned 50 on March 18. How fun to see a piece from CBS Sunday Morning and NPR on the case as well as where the issue of representation for the poor is today. There is also a new podcast from the US Courts and this great interactive site from the Missouri Bar. I wish I were teaching government this semester! Textivate – Fun on a Friday!